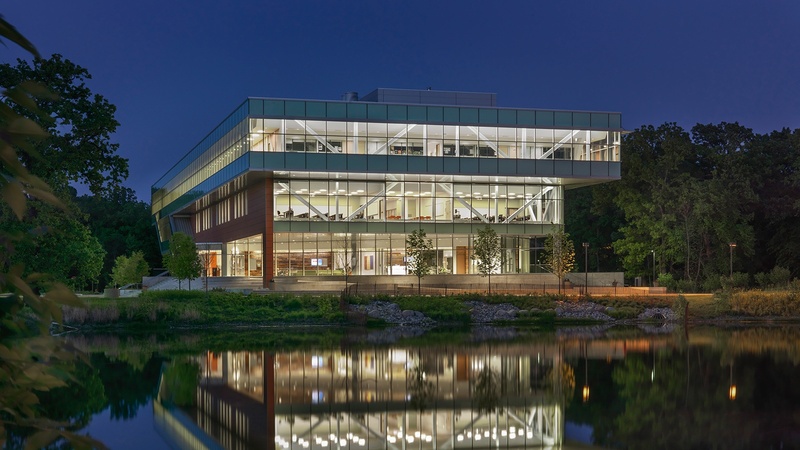 Debra and Jamie sit down to discuss the progress and investment that Oakton Community College has put forward, creating a truly sustainable education for their students. Debra comes from the Brookfield Zoo community, where she was inspired about conservation by her colleagues and the community. Oakton Community College has invested a ton in LEED certified buildings and solar panels on their buildings. They also benefit from an amazing campus with a lot of natural woods and natural area around them. And their greatest resource - their students passion. Hear how student groups led the ban on plastic bottles sold on campus at Oakton. Debra’s favorite animal at the Brookfield Zoo you ask? The egg laying mammal called the Echidna. Speaker 1: Welcome back to episode 13 of the Verde podcast, every week we talk to local community leaders and entrepreneurs to understand the real story that doesn't make it to the spotlight. But is how actual businesses are actually built here in Chicago. Today we have Debra who is the Sustainability Specialist at Oakton Community College, I'm particularly excited, although I tell everyone every week, I'm very excited to interview them. I'm particularly excited, because I was just telling her a Sustainability role, trying to do good in the public sector it's like a really interesting position to me. And one that I've often thought a lot about, and would have loved to have that position, you know, years ago, so it's a ... I'm particularly personally raged to be with you today Debra. Debra: Well thanks, I'm excited to tell you all about what I do. Speaker 1: Good, very good. So tell me a little bit about how and why you joined Oakton, and what motivated you to join the sustainability field in general? Debra: Okay. So my background from the time I was in high school, was actually focused on animals and the environment. So I initially thought that I wanted to be a Veterinarian, I was one of those kids that volunteered at the local animal shelter, got an internship at my local vet office, and started working that route. But then somewhere around Junior year in high school, I really started thinking more about Zoos as a field to pursue, and so when I went into college, my goal was to become a Zookeeper. And so I kept up some of that animal work, and then got an internship at Brookfield Zoo, keeping for animals, and then that became a seasonal position. Speaker 1: Sorry, what is that? What do you study to become a Zookeeper? Is there like a program? Or is it pretty open to whoever? Debra: It's pretty open. My background was in Biology, so I majored in Biological Sciences for my Bachelor Degree. And then did that extra curricular involvement working with animals. But I have Zookeeper friends who have backgrounds in philosophy, and psychology, who were lawyers, who were teachers, so there's lots of different ways to get into it, I think most of us have a background in Zoology, Ecology, Biology, or Psych is a big one too, because of animal training. And then I really got interested into conservation as whole, and conservation education, and training, so I did my Master's Degree at Columbia, New York, in Conservation Biology, and I had spent some time there at the Central Park Zoo, and the Bronx Zoo, so I got to work with animal observation, and research as well as public evaluation. So collecting surveys from guests about their experiences, and then taking that data and compiling it, to make our experiences better. And from there, went back to Brookfield Zoo, where I did conservation leadership and training for next seven and half years. So working with outreach programs, doing education, high school volunteer programs, the college internship program, everything was built around getting people engaged with nature. Helping them to build that relationship, and then going out and doing something to protect the natural world. So everything at the zoo, was very focused on conservation action. What could each of us do, to make a difference, and improve the world around us? And that naturally led to my thoughts about sustainability. So we thought of it as conservation behavior, conservation action, it's the same thing. So it's what little things we can each do, as well as big things to make a difference with the products that we're using, the ecosystems we're impacting, basically reducing our impact on the world. So when I had kids, and realized that a full time job was really demanding with a long commute, and wanting to be there with them. I started looking for opportunities that were part-time, where I could still be invested in a career where I was making a difference that fit along my passions and pursuits, but also allowed me to spend more time with my kids. And around the same time I started having these thoughts, this position at Oakton Community College opened up. So 2014 this position was created, brand new, it was 20 hours a week, three miles from my home, and I was finally able to have a community impact in my own direct community, and have broader reach of some of my interests, and my skills in a way that I never had before. So of course I love that I'm still doing education, because it's a very big piece of me, but it lets me look at saving the world in a different way than I had been before. So I think it was a natural fit, and it really allowed me again, to have that work-life balance, that I really needed at the time. And to grow in this position to the point that just this summer I became full time. So my kids are both in school full time, I'm full time, it was all just meant to be. I suppose. Speaker 1: Yeah. Yeah it's hard to find work-life balance no matter what. It's almost like seemingly impossible, so it's cool that you found it. Debra: Yeah and it's really been exciting for me and with my kids. Like everything that I'm doing is about behavior change here at the college, which I think we'll talk a little bit more about, and that can be so tricky. So having kids at home that I can help shape, this conservations sustainability ethic in, that they're just are used to recycling, and composting, and picking up trash when we go for walks, is really meaningful to me. Speaker 1: I have a three year old, and love when like she throws something on the ground, and I'm like, May, pick that up. We don't litter. And she just looks at me like, it doesn't make any sense why we wouldn't just litter. And it's an incredible blank slate to kind of like really influence your values on, which I guess sounds really evil. Speaker 1: Yeah, but it's good for sure. Debra: It's a big responsibility. And actually one of my favorite stories with my kids. Is we took them the Sox park to go see a game, and we were walking out afterwards through the parking lot, and my daughter who was probably four at the time, started trying to pick up all the broken glass in the parking lot from beer bottles that had been smashed. And I had to actively tell her, no just leave it on the ground. And it was so against everything she felt, like pulled to do. So understanding that there's a time and a place to pick up trash, and a four year old with broken beer bottles probably isn't the time or the place. Speaker 1: Well that's cool. So I'll dive into some more questions. But are you still very involved in the zoo community? Like now there's two things I'm really interested in, sustainability at community college and now a zoo community. Like are there zoo parties? Things like that? Debra: You know the zoo is like a second home to me. So I built a lot of really important friendships and professional relationships there. So even though some of my colleagues, who I worked with have gone on to other zoos, or other realms, we still do have this network. And I've got really close friends who are going to be a part of my life from that experience. So even though I don't go to the Association of Zoos and Aquariums Conferences anymore, or am involved day to day in volunteering, or work tasks with them. We go often with my kids, we've got annual memberships, so we hang out there and visit the zoo from a guest perspective, but then also, when I'm involved in things like Chicago Wilderness in the region, or some nature education, nature play experiences, as part of my role here at Oakton, I'm seeing my colleagues from that other world. And so we're still integrating, we still communicate about crossover, and opportunities where our respective fields can align because there are a lot of them. I've been fortunate to lead a group of students from here at Oakton on a tour of Brookfield Zoo, so we went on a field trip, and I got to talk to them about the conservation stories of the animals as well as career training for them, if they're thinking about a path like this. I spend a lot of time kind of dispelling some myths about zoos, so I'm of course and advocate for a well-run accredited zoo, or aquarium. And I think they're really powerful tools for conservation, education, and awareness. I know that I personally wouldn't be in sustainability, I wouldn't be making the life choices I did, if it hadn't been for early introduction to animals at a zoo with my family. So I think they're really powerful if done correctly. Speaker 1: Do you think that zoos, this is kind of a meta question I guess. But do you feel like zoos are fulfilling their kind of obligation to be leaders in that conservation space at this time in general? Debra: Absolutely. You've seen zoos evolve now. Initially when they started, it was menageries. It was rich people going out, flying to exotic places, taking animals, bringing them home, and then charging people to see them. And now we've evolved to conservation organizations. So there is no reputable accredited zoo, that isn't spending most of their time and energy on telling conservation stories. You see it in the signage, you see it in the way they procure resources for the zoos, and the aquariums, water conservation, their energy conservation. If you visit, we're fortunate here in the Chicago area to have so many accredited zoos and aquariums, well one aquarium, the Shedd Aquarium, does amazing work. They're pushing a straw free initiative, to encourage people to reduce their plastic consumption. We've got so many good things that are being taught to people, who may just be coming for a good time, may just be coming to see animals, but then they walk away with really important education. And I think that, that's important. As well as the money that zoos are generating, if it's not going back to the animals, and their care, and the people who care for them, it's going to field conservation organizations. So paying for researchers in the field, in these countries of these wild animals, to help protect them to create jobs, to raise awareness, and to do really important work in the field where it's most needed. Speaker 1: That's good to know. I think we don't, as a novice to the zoo world, like I don't know much about that. It seems like a natural fit, but I do know, and I think you and I talked about this recently, about how the aquarium has the first largest solar pv panel set up in Illinois. And it's an investment that they chose to do for whatever reason, but that really resonated with a community member. So it's interesting to see how they take initiatives like that, that can really be leaders where we lack leaders in this space. Debra: Absolutely. Yeah, you'll meet some of the most passionate people who are working at those organizations. And they're doing it for the love of the animals, the love of the mission, and again, educating the public and getting them engaged and involved. So it was really wonderful working with conservation leadership program at the time, because I was able to take students who were interested, and engaged, but didn't know what to do with that interest. And really watch them bud into educators, and scientists, and go on to their Ph.D's and be field researchers. And now I have this whole community of students that I worked with, who are now out actively saving the world, because they decided to volunteer for the zoo one summer. Speaker 1: Do you have a personal favorite animal at the zoo? Debra: Everyone asks me that. You know it changed every week. I love animals, so every day it's something new. I learned a lot about Echidnas when I was there, so that's the one I'll pick today. Speaker 1: I don't know what an Echidna is. Debra: Echidnas are an Australian animal, and they're egg laying mammals, so they're bizarre, and they've got these cute little noses, and little spikes, but they fascinating little creatures. So you can go into the Australia house they have them. Speaker 1: Is it Echidna or just chidna? Speaker 1: Oh amazing. Okay. Debra: And so those are fun little animals. Speaker 1: I'll have to tell my daughters about them tonight. Because I didn't know there was egg laying mammals. Speaker 1: Are there a lot of those? Speaker 1: Interesting. Okay. So tell me about some of your favorite parts about running initiatives that you do at Oakton? What are some of the most exciting parts and gives you the most professional satisfaction? Debra: Yeah, so I think there's a twofold for me. One is of course engaging with the students, so again at heart I'm really an educator, I want to make those connections, and students who are here at this college phase of their lives, are really eager for information and again, ways that they can be involved. So when I can connect with students in a classroom, or an activity, or they have a project that they want to initiate here on campus and I can help harness their ideas and actually give them a trajectory to pursue those thoughts, and actually turn it into reality, that's really powerful for me. So since I'm not faculty, I don't have a chance to really teach students or be engaged with them on a daily basis, and I think it makes those times, when I am able to do that, more important. Because they're not as frequent. And then the other piece is just seeing the changes that happen on campus as a result of what we're doing in sustainability. Like I said, I was part-time until just this summer, and compiling my most recent sustainability report for the college, it was really impactful for me because on a day to day basis I may not feel like I'm making much movement, there's so many big things I want make happen. And it's really hard, they can't be done in a day's time. So when I look back at that report, and I see all the initiatives that we've been able to do, with me being part-time, and not a huge team of staff working together, it's very fulfilling to me to see how much can be done. And then how much those projects can help benefit the students on campus. Or the community. And what can grow from those. Speaker 1: Any individual project that stands out in your mind that you're kind of most particularly proud of? Debra: Yeah, and it's one that I didn't even have much to do with. And so that's our water bottle ban on campus. So in the spring of 2015, we had a group of students who were involved in an honor's course, and they were learning about all kinds different social and environmental issues, and injustices that lay in those realms. And there was a group of students that decided that they wanted to pursue a water bottle ban on Oakton's campuses. So after learning about the environmental implications of bottling water in plastic, and then what happens to those plastic bottles. About two-thirds don't ever even end up being recycled, they end up in the land fills, or in our waterways, and become a huge issue. But then also the social piece of taking water as a public resource from communities. Privatizing it, and then selling it back to those same individuals, they learned about all of the cultural and social implications of that practice. So whether it be taking the water and draining aquifers, or ruining agriculture for communities, or just the price piece, the fact again, they're taking something free, and then they're selling it back for $5.00 a bottle or $2.00 a bottle. Whatever it is. Speaker 1: Something we never would have paid for 30 years ago. Debra: It's really, it really blew them away. And so the students started working on researching this issue, and then presenting it to their peers, they would do tabling events, and workshops, and getting signatures from students. I think they collected over 1500 signatures on a petition to ban the bottle, they presented that to faculty and staff, as well as our President's council, here on site. And our administration decided to support the students, so they said, we'll help you to keep this issue alive, and to ban bottled water. So the course itself was only a semester long, and what was really interesting, was after that semester, the students started working with Students for Social Justice, which is one of our student groups on campus, and they kind of handed over the reigns, and so that student club, then carried the initiative through to its implementation. So I was involved just in supporting them, and taking care of some of the logistics, working with our President, and our Facilities director to see what we needed to do, to put this practice into place. So we were proactive and did a whole bunch of water testing, because it was at the same time as the Flint Water Crisis was occurring, people were thinking more about water. And was it safe to drink? So we were able to verify the safety and cleanliness of our drinking water on campus, we were able to get funds to put in more hydration stations, so the water bottle refills. We worked with Oakton Educational Foundation, to get a grant to provide all students with a reusable water bottle, so that they didn't have the excuse of not having a receptacle to put the water in. And again, just supporting the students along that path. So on November 1st, 2016 is when Oakton officially stopped selling single use plastic bottled water in the cafeterias, in the vending machines, and in the bookstore. And now it's become a thing for our campus, it's something notable, it was in the news, other colleges know, we aren't the first one to do it. We followed a lot of other colleges who had. Loyola locally, connecting with students there, and finding out what did you need to do to make this happen? We also did surveys for staff on campus, to find out how they felt about the change, which was a challenge. Because there were some people who were very passionate about it, and taking away a right of theirs, so it became a really big advocacy project, as well as awareness, and communication piece. Lots of people thought about the recycling aspect, so they, I buy my water, I recycle it, I'm good, I'm not the issue. And we really needed to teach them about the social piece. Like where is that water coming from? How much water are you using to make that bottle, that you're putting it in? When we're fortunate in this area to have clean drinking water. Speaker 1: Well the truck to transport it here, the truck to transport it away, does it actually end up in the recycling place it's supposed to? And Chicago's notorious for not being great about that. Debra: Well it's getting better. Speaker 1: It is getting better. It is getting better, that's for sure. Debra: Yeah so that's been such a powerful experience for me, and again, if had come into Oakton, and said we're going to ban water bottles, it never would have passed. But because it was student passion, student initiative, they did their homework, they did their research, and they presented it well, they were supported. And that's something really powerful about Oakton too. We're a small enough campus that if you do have a group of passionate students, you can enact really big change. And those students, then can go onto their other colleges, or universities, or jobs, and use some of those same skills they learned to make bigger changes. Speaker 1: Yeah, well it's particularly, that story's particularly relevant right now, especially with the student driven gun violence legislation that they're, or they're policy agenda that they're asking for. I don't know about you, this is not really relevant, but I took my kids to the march this weekend. I thought ... I personally am against, I personally support gun rights legislation, I don't ... I'm sorry, edit that out. I'm personally against any gun ownership I don't feel like it's really ... that's my personal ... that's my family's agenda. But what I was so inspired about, I normally wouldn't go support that kind of thing. But what I was really inspired about, was that these kids were organizing it, and the policies that we make are often based on fear. You know, I'm afraid for my safety of my house, and this is something a 40 year old father like myself might have experienced and do. But the policies that we make affect these kids for the next 60, 70 years. And so it's really refreshing, kind of like that thought that my daughter looks at that trash, and just doesn't really ... like these kids are very idealistic, and it's kind of refreshing to feel some idealism in this world. And it's exciting to see, I mean I'm very optimistic that this activism of this age, is going to continue. Because while you certainly make a lot of mistakes in your ... you really do dumb things when you're that age, like it's fun to have them directed at idealistic things, because for sure environmental action is one of those topics that the things that we do today, these kids are going to have to deal with for 80 years. Debra: Oh absolutely. And I think, you know I was so fortunate to build such powerful relationships with teenagers, when I was working in my previous position, that any time people around me would negate the power of teenagers, so you know, oh they're entitled and they're lazy , and they're this and they're that, I had real stories of students to say, no they're doing a lot more than a lot of us are. And so to me that teens were able to rise up and get this power, is not surprising to me. It reaffirms what I already knew from working with my students. But it also, this is something we've seen throughout history, like young people change the world. And I spent some time really thinking about just all of the attention that's being drawn to these mass shootings, and reading a bunch of articles, and hearing people from our non-white communities particularly talk about how gun violence and environmental injustice has been affecting them for so long, but you don't hear it in the news. Right? You don't hear those stories. And debating on whether or not to join in this movement, if it's not completely reflective of their own experiences, and it's been really promising to see so many backgrounds of students coming together and saying, yeah because we all want the same thing. And people forget that teenagers have been the one, they were protesting the Vietnam War, when we were integrating schools in the south ,the Little Rock Nine, they were 14, 15 year olds, that were subjected to awful experiences. But they made such a huge impact for future generations. And yet, we're seeing how much still hasn't changed, how much work there is to do. So I love seeing the power and the engagement around teens, young adults, youth, those who are just voting in this first election, and understanding the power that comes with that civic duty, of choosing who's in office. Speaker 1: And not just this next election but the one two years after that's going to be really compelling. Because those, you know, 16 year olds are going to be able to vote at that point. Debra: Right. And I think the power, one of the things that I've been focusing on here too with community college is talking with students that it's more than just Presidential elections, you voting for your school district board, or your municipal water reclamation district commissioners, all these different local opportunities, for you to have an impact and say, who's going to speak your voice, or for you to run for one day. I've been really impressed with the number of students here at Oakton I've met, who are interested in policy. And potentially running for office one day. And so learning all they can about they can do here to build upon their experience for their future. And I would love to have my future in the hands of some of these students that I'm working with. Speaker 1: Yeah. For sure. I guess you've already talked about a big one, but what is your ... what are some other creative ways you've seen students here push sustainability as a priority? I know you have some experience with lead buildings on campus. I'm just curious ... I find it really compelling, you know that I worked in public sector for about 10 years and I just felt wall, after wall, after wall. Of like, we're not going to do, we can talk about it but ultimately we're not going to do it for whatever reason. And it seems like Oakton has done a little more than the average group, so what creative things have you seen that other people listening might be able to take away as an idea? Debra: Right. So we do have one lead building on campus. And it was being erected as I was starting. So it's our new Science and Health Career Center, and as the name implies it's all of our science classes. So from Biology to Physics, Chemistry, as well as all of our health careers, so Physical Therapy, we've got a Phlebotomy lab, we have a half a floor which is devoted to nursing. So a simulation hospital. And so for all these students to come and go through that building, and to see the little signs about what sustainability efforts were incorporated into the creation of that space, again, it's just that awareness, that they become used to it, as being part of their environment. And that they're picking up some of those little things. So I think that's been fun to experience, and to hear about the students that were in that building when I tell them I work in sustainability here. That one of the first things they'll say, oh I noticed those signs in the Lee Center, which is a little sense of pride for me. I helped create those signs. But even if they're only picking up one line of information, or understanding how they're impacting the earth just by being in that building, I think that's powerful. But really the biggest successes again, we've seen, is students. If we can get students who are engaged and are excited, channeling that passion and that energy into a project or an effort, that carries weight here. So around when I was starting, there were a couple of faculty who were engaged in creating an Environmental Studies concentration. We didn't have anything like that here, so they took a sabbatical to go research what other colleges and universities were doing, how they wanted to shape it, what they wanted it to look like, and now we have this 19 hour, or semester hour program. So a concentration at a community college is kind of like a minor, you know if you get an Associates Degree you can add this on by taking certain courses basically. But the way that it's structured is that many of the courses are Gen Eds, so composition one, and intro to biology, or intro to environmental science, and so you can take your Gen Eds while getting credit for these ESC courses at the same time, and the other thing about it, is that it's interdisciplinary. So as opposed to just an Environmental Sciences program, where they're just getting the science, and you're just getting those science minded folks, it's philosophy, and like I said, composition, it's literature, it's global mythology, all these different courses, that are getting students to think about the environment and sustainability and their role in the world, from different viewpoints. And building it together into this really nice, cohesive program. So they were working on developing that, I was working very closely with them to align what students were doing in the classroom, with what changes could be done on campus. And there was such a support for the ESC of students, and other faculty members getting engaged, that it helped bolster appreciation of the sustainability work I was doing on the operations, and planning side. And similarly, when I'm doing actions in sustainability, whether it's putting in an electrical vehicle charging station, or trying to reduce our carbon footprint, then I can reflect it back to the students. So we can bring those topics into the classroom, they can look at real data, they can be out on our natural grounds, we have 147 acres here at the Des Plaines Campus. Debra: Where students can cage young oaks, they can go out and do bio-diversity studies with our faculty. They can do a nature walk in their pros class, and come back and write creatively about what they experienced out in nature. So we're able to tie so many different projects and efforts together with the number one reason we're all here, which is to provide students an education. So that's been really important for us, and they received ... the ESC received a National Endowment for the Humanities Grant, a very large grant, about a year ago that has enabled them to really develop some of the course work, and create a field study course, so this summer students will take 17 days, and camp out to Yellowstone along the way learning about plants, and the humanities and nature, and all these other awesome things. So I think that, that's been really encouraging, and any time we have a new class, a new project, students have ideas that they want to implement. I have a group of students now involved in one of the courses, who really want to push for more food waste reduction on campus. So eliminating at the source as well as composting afterwards. And hopefully with their help, we can make it happen. They give credence to what I do. Speaker 1: Well I think we, I like to think of everything in the business sense, because that's what I do these days unfortunately, but it seems to me that ultimately, the leadership and the management of the school must look at the students as customers essentially, and if the customer or the student is requesting more environmental classes then that's going to speak to them more than probably anything else. So that's pretty cool, do you feel like there's kind of an uptick? I guess you've been here since '14, so that's three or four years. But do you feel like there's a more interest now than there was three or four years ago from student driven requests for sustainability? Or it's been consistent but just your ability to kind corral that? Debra: I think that's exactly it. The latter point. So I think the interest has always been there, but there wasn't really a place to direct that interest. So we had a few faculty on site, particularly who were known for getting students to think about the environment, and sustainability in their courses, and that were powerful. But the average student didn't really have a chance to learn about what the college was doing, or how they can provide input. So I think just building this small sustainability center here at the college, and having me available to go to different activities, and to talk with student groups, has allowed them a place to voice what they'd like to see happen. So when we do big events, like our Fall Fest, welcoming students at the beginning of the year, we have a table. We can ask them agreeing suggestions, what do you want the school to do? What would you like to see more of? And the first year I was here, one of the big things was more waste bins, more recycling bins, so we did that. We changed the recycling bins that we had onsite, into these multiple streamed bins that were sometimes not all together. So you would find a paper bin, or an aluminum bin, but you wouldn't find them all next to each other. And now we have nice single stream bins, where waste and recycling are connected. And they make that choice, but it's always available to them. And that as well as a few other initiatives, we saw an increase from 19.7% recycling up to 36 point something recycling in our couple years. So students asked for it, they wanted it, and then they used it. And so those opportunities where students can tell me what they're interested in, I think are more available, which means that they're being heard more, and we can act on them. Speaker 1: Well that's cool. I appreciate what you're doing, and I think I forgot to mention this, but I was, I'm a proud Alumni of Oakton, I have my Paramedic Degree came through here. So it makes me feel, I never came on campus, because we were through the hospital, but it's, it gives me a little bit more pride in that degree. Debra: Oh that's exciting. We love our Alumni. Speaker 1: Yeah for sure. So it's been great to hear all your stories, and I hope we can stay connected, and I hope that this kind of ... you know I know you mentioned that there's a huge network of similar professionals like you throughout the Illinois community college networks, and it sounds like you guys all kind of really helped push and pull each other towards change. But there's a huge, as far as for community college students listening, or that are ... there's a huge job network in Illinois around this topic. You know we have 25 employees at my company and one of the first things I look for on a resume is what did they study? It doesn't rule out, if somebody studied something else if they're a good fit, but it definitely gets them the interview if they studied something, one of the few that really studied a degree in sustainability is very valued for a company like mine. Debra: Right. Which is always great to hear, because of course as a community college, a lot of time we are faced with administrators that of course, they want our students to either go on to a four year degree, or they want them to be able to get a job right after their degree. And proving that green jobs are available, and prevalent, and growing in our area, can be really tricky. Because as you know, it's often not going to be labeled like, Sustainability Specialist, it will be, an Engineer, a Program Manager, or an Account Manager, for a sustainable company. So we have really hard time, occasionally convincing people that these efforts are worth it, and that yes our students will be able to get a job. So I think when they hear, individuals who have a business, in the area, that does employ students with these skills, it ramps up the appreciation, an extra little bit. Speaker 1: Well very cool. Well thank you, I think this is a particularly interesting conversation topic. I enjoyed it. Debra: Yeah we went all over. Speaker 1: Yeah, we covered the basics from what was the animal? The Echidna? Speaker 1: The Echidna, all the way to recycling water bottles. Debra: Look him up. They're cute. Speaker 1: Or not, I guess. Well thanks Debra, thanks for being here, and I look forward to talking soon. 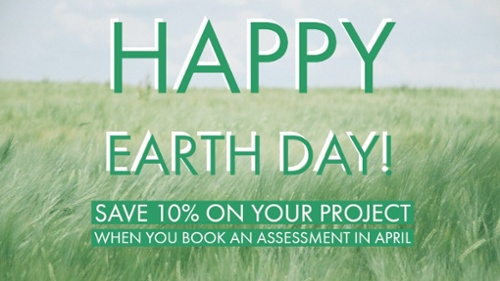 For a limited time you can get 10% off of your project with us if you book your assessment in April. Check out more podcasts by heading to our Chicagoland Business Stories page.